and customs and proceed to the hotel on your own to check in. (check in after 1400 hrs). (Chapel Bridge) to the ornate Jesuit Church (On days when we are unable to visit Mount Titlis due to it not being open to visitors we will visit Glacier 3000 ). Over Night in Express by Holiday Inn Zurich Airport / Arcade Hotel or similar. Day 3: In Switzerland • Optional Excursion to Jungfrau, Indian Lunch and Interlaken. unchanged in its unique design. A visit here is a memorable experience. Continue your scenic drive to Heidelberg, situated in the Valley of the River Neckar and world famous for its romantic castle and picturesque Old Town with awe inspiring surroundings. Enjoy some leisure time at the 'Altstadt' - old section of the town. Later, after dinner, check-in to your hotel in Rhineland. Today, after breakfast, drive to Cologne, the metropolis on River Rhine, where on arrival you will visit the Cathedral- the first Gothic Church in the Rhineland with its characteristic spires. Then, drive to Brussels. On arrival, a walking orientation tour takes you to the magnificent Gothic St. Michel and St. Gudula Cathedral. Then, via Galeries Saint Hubert - the world's first shopping mall, opened in 1847, to the Grand Place, Europe's most beautiful square. This exquisite market square is the main tourist attraction of the city. Later, after dinner, check-in to your hotel in Antwerp. experience. Spend some leisure time at Dam Square with the Nieuwe Kerk (New Church), the Royal Palace and the National Monument. Today after breakfast we proceed to a scenic drive through beautiful landscapes to Paris, the 'City of Lights. Arrive and start the Paris tour taking in the dazzling overview of the glittering city as you ascend by an elevator to the 2nd level of the Eiffel Tower! This enchanted evening unfolds with a cruise on the River Seine, sailing under old and beautiful bridges, admiring illuminated monuments as you glide by. True bliss! After dinner, proceed to your hotel and check-in. The rest of the evening is at leisure. You can choose our optional "Evening in Paris" and experience the joie de vivre of 'Gaie Paris'. Enjoy a guided panoramic highlight city tourvisiting famous monuments like the Pyramid of the Louvre, Garnier's Opera, the largest opera theatre in the world, the River Seine, the Place de la Concorde - the site of the infamous guillotine, the Champs Elysees - one of the most fashionable streets in the world, the Napoleanic Arc de Triomphe and the Hotel des Invalides. Later, visit Fragonard, a Highlight from Cox & Kings. Discover Fragonard's creations on sale at factory prices. Tour continue to Montmarte-the basilica of Sacre-Coeur,The Basilica of the Sacred Heart of Paris, commonly known as Sacré-Coeur Basilica and often simply Sacré-Coeur, is a Roman Catholic church and minor basilica, dedicated to the Sacred Heart of Jesus, in Paris, France. Good times need never end! Your tour ends with guests departing on individual flight schedules for your flight back home. Note :- Their is possibility we can re route the itinerary on the given departure date. Telephone charges, all items of personal nature and also food and drinks not forming part of the touring group's menu. above 70 years of age. Anything not specifically mentioned in 'What Your Tour Price Includes' box. Kindly dully filled and signed the booking from for block the seats. Any departure with less than minimum operational strength will be cancelled 21 days prior to departure and put on to the next available departure. Please contact us for a detailed list of inclusions, exclusions, conditions and important notices. -Kindly note the prices are indicative and subject to final confirmations. -Passport to be valid beyond 6 months of period of stay. -Sales / travel / cancellation conditions apply-kindly check at the time of booking. Package confirmed is subject to Booking Conditions / Cancellation policies as applied by Service Providers. Partially unutilized tickets are non-refundable. It is recommended that you take your travel insurance to cover you during your travel, medical expenses incase of an accident / illness, loss of baggage/personal effects, loss of ticket, change of ticket reservation and cancellation of the tour. It is the responsibility of passengers to ensure that their passports and visas are valid for travel. Kindly contact the relevant Embassy or Consulate for same. Arrival in Stockholm, Private transfer to the hotel. Stockholm sightseeing 1h15min SIC See the whole of Stockholm in 75 minutes. This guided sightseeing bus tour passes all the must-see attractions in Stockholm with modern, luxury coaches. The tour is perfect for passengers who want a non-stop tour without unnecessary stops on the way. We take you to the most famous buildings and views over the city. 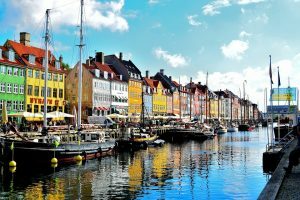 City districts and famous sights such as Stockholm City Hall, The Royal Palace, Östermalm, Gamla Stan (Old Town), Långholmen and The Royal Djurgården are all parts of this tour. During this tour you will get to know Stockholm and the history of the city. The tour takes you to the most interesting parts of Helsinki, such as the historical centre, City Hall, The Parliament buildings, Finlandia Hall and the Opera House. Stop at the Temppeliaukio Church (Rock Church) or at the Sibelius Monument (if the church is closed). The tour ends near the Esplanade Park. The tour includes sound effects and commentary in 10 languages with headphones. The tour is operated by a comfortable double decker bus with good views! Bergen Walking sightseeing 3h. You will visit most important sights of Bergen, such as Bryggen, the Fish Market, Bergen Aquarium, Bergen Museum, The Grieg Hall, The Fløibanen Funicular, St. Mary’s Church, Old Bergen Museum etc. Mt. Floyen return funicular tickets incl. We can assure you it is no coincidence that Nærøyfjord is featured on UNESCO’s World Heritage List. 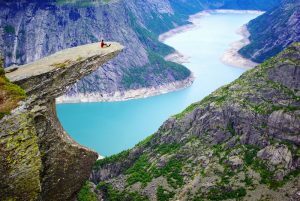 A fjord cruise through this narrow and beautiful fjord will give you the memory of a lifetime! The Flam Railway has been described as one of the most beautiful train journeys in the world and is one of the leading tourist attractions in Norway. The train runs from the end of Aurlandsfjord, a tributary of the Sognefjord, up to the high mountains at Myrdal station. The journey features the finest aspects of the stunning scenery of Western Norway. An excellent choice to discover Oslo even if you are short on time! Learn about the city’s history and culture from our knowledgeable guides, admire the main attractions in the city center and spectacular views from Holmenkollen ski jump, and experience a fascinating insight into the art of the most prolific Norwegian sculptor, Gustav Vigeland, as you walk through the unique Sculpture Park comprising more than 200 sculptures in bronze and granite. 2 Nights stay in Stockholm. 1 Nights stay in Helsinki. THE PRICES ARE INDICATIVE AND SUBJECT TO FINAL CONFIRMATIONS. PASSPORT TO BE VALID BEYOND 6 MONTHS OF PERIOD OF STAY. CHECK-IN AT THE HOTELS 1400 HOURS AND CHECK-OUT 1200 HOURS. SALES / TRAVEL / CANCELLATION CONDITIONS APPLY-KINDLY CHECK AT THE TIME OF BOOKING. Package confirmed is subject to Booking Conditions / Cancellation policies as applied by Service Providers. Partially unutilized tickets are non-refundable. It is recommended that you take your travel insurance to cover you during your travel, medical expenses in case of an accident / illness, loss of baggage/personal effects, loss of ticket, change of ticket reservation and cancellation of the tour. It is the responsibility of passengers to ensure that their passports and visas are valid for travel. Kindly contact the relevant Embassy or Consulate for same. Embarkation between 3pm and 4pm. After a welcome cocktail we leave Port Victoria and sail to nearby St Anne for a refreshing swim stop off the ship. Overnight at anchor near St Anne. Welcome dinner. We leave St Anne Island early in the morning to reach Curieuse. This morning we visit this uninhabited island, once a leper colony and home to giant tortoises. Our walking excursion (included) with a park guide will bring us to the farm, along mangrove forests. Later we return to the beach for a BBQ under the trees. In the afternoon you can enjoy the beach and sea activities. Overnight at anchor. In the morning set sail for Cousin Island. Walking excursion (included) to the Bird Sanctuary which is in the care of Bird Life International. A quarter of a million birds breed on Cousin which also has several nesting beaches for turtles. In the afternoon set sail to Anse Lazio, Praslin, one of the most beautiful beaches in the world. Time for swimming and snorkelling. Evening at anchor. In the morning set sail to Aride. Walking excursion (included) to the top of the island for an amazing view of the island. The island is home to the Wright’s gardenia found nowhere else on earth and to bird species like the Audubon’s shearwater, the Seychelles warbler. At noon set sail for St Pierre Island, reaching St Pierre after lunch for a 3 hour snorkelling and swimming stop. At sunset, leave St Pierre to sail into Baie St Anne, Praslin. Overnight at dock. Creole Night. Disembarkation between 9am and 10 am. Please note: the itinerary is subject to change based on winds and sea conditions which may render anchorage and landing at some islands very difficult and the company reserves the right to change the itinerary for the safety of the passengers and of the ship. 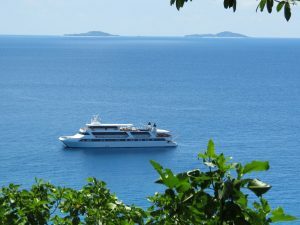 Some excursions are included in the cruise and there are 2 optional excursions. Visa Charge & Travel Insurance. Variety Cruises is one of the leading yacht cruise lines worldwide, operating a fleet of 11 fully owned vessels offering travelers the ultimate Yacht Cruise experience. With capacities ranging from 5 to 36 cabins, Variety Cruises’ upscale yachts and experiential cruise itineraries embrace each destination by visiting much-loved and unfrequented ports of call in a private, intimate and relaxed environment. Validity: Based on sailing dates, please inquire with us. Welcome to your “Cox and Kings American Bonanza – Summer 2018” tour! On arrival into New York, your Cox and Kings Representative greets you at the “meeting point” at the exit after immigration and customs and transfers you comfortably to your hotel (check-in after 1400 hours).This evening, catch glimpses of the ‘Big Apple’ on an Illumination Tour, driving past spectacularly lit landmarks of New York – it’s magnificent!! Spend some free time at Times Square. Overnight at New York. 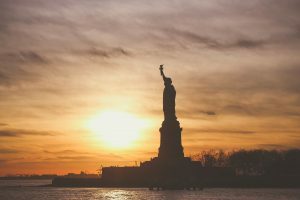 orientation tour of the ‘city that never sleeps’, driving past some of New York’s iconic landmarks like Wall Street, the New York Stock Exchange, World Trade Centre site (Ground Zero), Brooklyn Bridge, Broadway, United Nations Building. Also visit the One World Observatory. Enjoy spectacular views and breathtaking vistas that stretch for miles in every direction. Overnight at New York. Day 3: Onto Washington D.C. • Visit National Air and Space Museum • Guided Sightseeing Tour of Washington D.C.
Today, drive to Washington D.C. – the capital of the USA. Washington D.C. is a sightseeing treasure-trove. Visit the National Air and Space Museum at the Smithsonian Institution, the world’s largest museum complex. Later, proceed on a half-day guided sightseeing tour. Your first stop will be Capitol Hill (photo stop). Then drive on, through Pennsylvania Avenue, to Lafayette Park for a view of the White House (photo stop). Make stops at the Washington Monument, the World War II Memorial – a tribute to the spirit, sacrifice and commitment of the American people, the Lincoln Memorial and Jefferson Memorial. Overnight atWashington D.C.
simulated HERSHEY’S chocolate factory, where you’ll see, feel, smell and hear the delicious transformation from bean to milk chocolate. Depart for Niagara Falls, one of the most visited natural wonders of the world. A panoramic night view of the spectacularly lit Niagara Falls awaits you. Overnight at Niagara. This morning, discover the beauty of the legendary whirlpool and rapids as you cruise past the base of the falls on the Maid of the Mist. NOTE: (Due to weather conditions, the Maid of the Mist operates from the last week of May. The View Mobile Tram ride will be provided instead to all tours arriving Niagara Falls prior to the last week of May). Later, drive to the airport for your flight to Orlando. On arrival, transfer to the hotel. Overnight at Orlando. ‘Magic Your Way’ today at the most magical place on earth – Walt Disney’s Magic Kingdom. A national shrine to which visitors flock by the millions. Encounter Mickey, Minnie and other Disney characters that come alive in this incredible fantasy world. Let your imagination take flight and your spirit soar! This eventful day ends with ‘Spectro Magic’, where your dreams come true as your favourite Disney characters go by in dazzling, illuminated costumes, followed by the night time spectacular fireworks, ‘Wishes’. Overnight at Orlando. A full day of fun awaits you as you travel to the future and explore cultures from around the world, in one visit at Epcot. Incredible! In ‘FutureWorld’ there is fantastic adventure and exploration with trips around the human body, journeys into space voyages under the sea and quantum leaps back in time. Take a walk around ‘World Showcase.’ Eat, drink and dance along with the experiences of eleven nations showcased. The centuries of communication as it has evolved is recorded in ‘Spaceship Earth’. End your day with the ‘Illuminations: Reflections of Earth, an extravaganza of lights, lasers, fireworks andmusic. Overnight at Orlando. After breakfast, proceed to the airport to board your flight to San Francisco, the city that will take you to new highs, leaving your minds spinning. Overnight at San Francisco. Begin your half-day guided sightseeing tour of San Francisco with a walk on Lombard Street, the crookedest street in U.S.A. Then drive past the Civic Centre. Stop for a photograph at the Twin Peaks from where you can view the Golden Gate Bridge, painted an ‘International Orange’. This is the world’s most famous bridge spanning the Golden Gate Strait. Later, drive to San Francisco’s most popular destination, Fisherman’s Wharf through Ghirardelli Square known for its historic waterfront and considered the city’s most popular tourist destination with delicious seafood, spectacular sights and unique shopping. Spend a dollar or two at Pier 39, a festive marketplace with more than 110 stores and numerous fun-filled attractions. Overnight at San Francisco. This morning, drive to Las Vegas. On Arrival, enjoy a wonderful show in Las Vegas – the Fremont Street Light Show. A night of entertainment in Las Vegas is a lifetime experience. Overnight at Las Vegas. The day is free to explore this exciting city on your own. Or we recommend that you treat yourself and your family to optional excursions of the Grand Canyon. Overnight at Las Vegas. suspended 4,000 feet above the Colorado River and protruding 20 meters beyond the edge of the canyon. Take a breathtaking flight over the Grand Canyon. Appreciate nature’s largest masterpiece. See the Black Canyon, extinct volcanoes and Rainbow Gardens with some of the most colourful and unusual geological formations in the world. See the Grand Canyon by air and ground. On your 50-minute flight, enjoy the spectacular aerial views of the desert landscape, Lake Mead and Hoover Dam. Then touchdown and board a bus for a scenic narrated tour of the Grand Canyon West Rim and experience the popular attraction – the Grand Canyon Skywalk. This is a new and unique combination of our classic Grand Canyon Airplane & Land West Rim our with the added appeal of a helicopter descent to the canyon floor, 4,000 feet down. Once on terrafirma, embark on a covered river boat to glide down the Colorado admiring the mighty walls of the canyon. Sit and eat your meal right at the Canyon edge. Promenade, Mann’s Chinese Theatre, Rodeo Drive and the well known ‘HOLLYWOOD’ sign. A day of fun, adventure and excitement is in store with your visit to Universal Studios. Go behind the scenes, beyond the screen and jump right into the action of your favorite movies. Become the star of some of the greatest movies and television shows ever made. Overnight at Los Angeles. Compulsory tips for the guides and LDC drivers. Coach tours, transfers, entrance fees, excursions, sightseeing and surface transportation as mentioned in the itinerary. Cost of sector ticket/s for internal travel within USA as per the itinerary. Visa charges for USA valid for the duration of the tour. Cost of Overseas Travel Insurance valid for the duration of the tour for passengers up to the age of 70 years. Arrival and Departure transfer ,Optional & Add-on Excursions unless mentioned otherwise. Porterage at hotels, apartments, airports, seaports, laundry, wines, mineral water, telephone charges, all items of personal nature and also food and drinks not forming part of the touring group’s menu. For Two Adults & Two Children (both under 12 years) rooming together, the 1st child will have to pay “Child with Bed” price and the 2nd Child will pay “Child Without Bed” price. Once an air ticket is issued, date change penalty and rerouting charges (as applicable) will be charged. Check with our Sales Officer for the applicable charges. All meals mentioned in the itinerary are pre set and a-la carte is not possible. Any damages caused to the hotel room/coach during your stay shall be borne by the concerned passengers. due to weather conditions, strikes, war, quarantine or any other cause whatsoever and all such loss or expense must be borne by the passengers. There are no refunds for any services i.e. meals, sightseeing etc. not utilized on your tour. For convenience of our passengers, we will sometimes amend the itinerary. However, the services remain unchanged. The right to vary, amend, alter or withdraw any particular itinerary, departure or excursion rests entirely with the company. Due to demand of a particular airline the in / out points may change. Services however, will remain unchanged. Itinerary often operates more than one coach per departure and on certain departures will operate in reverse direction. Any new price launched with the same itinerary, inclusions or destinations will supersede this price and this price may not be valid any more. The tour price mentioned is applicable provided there are 40 full paying adults on a tour departure. If the mentioned group size is not met passengers will travel on FIT basis. In such a case, FIT supplement will apply and travel arrangements may change or passengers may be given an option to travel on alternate dates with prevailing surcharges. Services of a Cox and Kings Tour Manager will not be provided if the group size on a particular departure is below 40 full paying adults. Please refer to our Duniya Dekho Booking Terms & Condition. Hotels / Flights / Airlines / Itinerary / Route subject to change without notice. Subject to RBI / GOI approval for BTQ passengers. Bridge, Broadway, Times Square & United Nations Building. House,Washington Monument,World War II Memorial, Lincoln Memorial, Jefferson Memorial. Niagara: Maid of the Mist Boat Ride, Night View of Niagara Falls. Note: **Please refer below for operational dates. Bridge, Ghirardelli Square, Fisherman’sWharf – Pier 39, Union Square. Las Vegas: Fremont Street Light Show. Rodeo Drive, Hollywood Sign, Visit Universal Studios. MEALS : Choice of Vegetarian and Non-Vegetarian cuisine. transfer to your hotel at own (check in after 1600 hrs). favorite Disney characters and incredible shows make it a complete family attraction. land which are the four magical themed lands and the ever famous Main Street USA. Thrilling rides, incredible shows, parades, fantasy and excitement guarantees non-stop fun and action. Fairytales come to life. Thrills in all sizes and shapes. Big thrills such as Space Mountain Mission 2, Indiana Jones, Big Thunder Mountain, takes you to the edge of the universe and little ones, where you can sail around the world with “It’s a Small small world”. Family fun is around every corner, from Pirates of the Caribbean to the Mad Hatter’s Tea Cups. Favourite Disney Characters are waiting to meet you. You can ‘Hello’ Pooh, ‘Howdy’ Goofy and meet Mickey and Minnie. Do not forget to take a snapshot with one of your favourite Disney characters! Say “Cheese” and get a photograph accompanied by a hug and an autograph. Discover the magical world of cinema and television at Walt Disney Studios where a behind the scenes destination sensation awaits you. Experience movie magic and cinema sets coming to life through cinemagical ‘lots’, featuring thrilling attractions and spectacular shows with your dreams centre-stage allowing your “screendreams” to come true! Make your big screen debut at Toon Studio or Production Courtyard. la Concorde – the site of the infamous guillotine, the Champs Élysées – one of the most fashionable streets in the world, the Napoleanic Arc de Triomphe and the Hotel des Invalides. said to have the second highest quality of living in the world! We begin the visit with a drive to the Palais des Nations (the European Headquarters of the United Nations) and the Musée Ariana. Be awestruck by the great white plume of the world’s tallest fountain in Europe – the magnificent Jet d’Eau and pause for a photograph here and at the beautiful floral clock in the Jardin Anglais! Exclusive entertainment is lined up for you. A mountain that’s all yours! We make sure that ultimate fantasy comes true with Mt. Cox & Kings so exclusive, that it’s only for you! Getting there is half the fun! Wind your way uphill in a cable car, (weather permitting) with a panoramic 360 degree view. a wonderful world of glaciers and eternal ice. Onto Jungfrau. Reach the highest altitude railway station in Europe by a charming, red cogwheel train, amid dramatic mountain scenery! What could be more tempting in this icy cold scenario, than a hot Indian lunch! Walk on the great Aletsch Glacier, at 22kms – the longest ice stream in the Alps, visit the glistening Ice Palace, the Alpine experience and the Sphinx Observation Terrace, at 3571 m, the loftiest point of all, will take your breath away. Glacier 3000 Awaits! An everlasting snow mountain, offering panoramic views of the most beautiful summits of the Alps. Ascent is by cable car to Scex Rouge (2971m). A special adrenaline kick with a wild ride on the Alpine Coaster (weather permitting), the world’s highest bobsleigh track. You can cruise along at approx. 40 km/hour and with the brakes you determine how fast you want to go. The ultimate highlight is the 520-degree loop, followed by 10 curves, 6 waves, 3 jumps and 2 bridges. The View Point (stairs) located directly behind the Restaurant Botta 3000 has a 360-degree view that includes some of the most beautiful alpine peaks – from the Eiger, Mönch and Jungfrau to the Matterhorn and the 107 meters Peak Walk along a suspension bridge. Later the Ice Express to ride the snow bus over the glacier. Enjoy a hot buffet lunch. Return to Col du Pillion. Later visit the popular holiday resort of Interlaken, cradled cozily between the beautiful Lakes of Brienz and Thun, where even today you see horse-drawn carriages. You will have your first encounter with the marvels of Swiss shopping. Most visitors take home two things – memories of a beautiful country and a Swiss watch. Next to a virtually unlimited selection of watches and jewellery, every store carries gifts and souvenirs, priced for every pocket. On to Lucerne with its picturesque mountains, lakes, cowbells, alpine villages and meadows, the poignant Lion Monument, the covered, wooden Kapellbrücke (chapel bridge), and the ornate Jesuit Church. You will have another encounter with the marvels of Swiss shopping. Next your drive today takes you to the Principality of Liechtenstein and a stop at Vaduz – the capital, famous for postage stamps. Later onto Austria. En route halt at the internationally renowned Swarovski Crystal Worlds in Wattens, and prepare to be dazzled at the ‘Chambers of Wonder’! In a wondrous blue hall dominated by a Unicum- a wall of crystal, you see the world’s biggest crystal and it’s smallest! Over 7 million people from all corners of the globe, have already been thrilled by the Swarovski experience – now you are one of them! Continue a scenic drive to Innsbruck. Located on the Inn River, Innsbruck is one of Europe’s most beautiful and lively cities. An international centre for winter sports, it has hosted the Winter Olympics twice! Our Orientation tour introduces you to its world famous sights. View the Golden Roof or ‘Goldenes Dachl’, an ornate Gothic balcony erected by the Emperor Maximilian I in the 15th century, decorated with gold painted copper shingles. Next walk to the Imperial Church followed by the ‘Hofburg’ or Imperial Palace. This Capital of the Alps, has a history of 800 years! Today your journey takes you on a drive past quaint villages, medieval castles and fruit orchards and cutting across the fertile Adriatic Plains, to the magical lagoon city of Venice. Nothing prepares you for the captivating city of canals and palaces – Venice is simply unique! Built on 117 small islands, it is a pedestrian’s city, so get set for a walking tour. Cruise from Tronchetto Pier and glide romantically past fairytale palaces, through incredible miniature canals to the Piazza San Marco (St. Marks Square), where you disembark. Napoleon dubbed the Square the ‘finest drawing room in Europe’ for its constant carnival atmosphere! Witness the bronze Moors striking the hour, as they have been doing for the past 500 years! From there to the Doge’s Palace, connected by the ‘Bridge of Sighs’ to its prisons. It was from here that the legendary lover Casanova made his famous escape! End this exciting tour with a brief visit to a Murano Glass Showroom (when open) for a demonstration in glass blowing. It was on the island of Murano that glass was first made in Europe and hand blown Venetian glass is world famous. Duomo’s (Cathedral) Bell Tower. Together with the Baptistry, these are all a part of the Field of Miracles. Continue to Florence, a shrine to the wonders of the Renaissance, with more artistic treasures per square meter than any other city in the world! Included in your Guided walking tour of Florence is a visit to the remarkable Duomo (when open for visitors), which is the fourth largest cathedral in the world. It dominates the city’s skyline and still defines its scale – no building in town is taller! Besides it is the ‘Gate to Paradise’ – the heavenly gilded bronze doors of the Baptistry, originally a pagan temple and the open-air gallery in Signoria Square. Walk on the famous Ponte Vecchio, the oldest surviving bridge in the city. Rome was not built in a day’- the truth of this oft quoted adage hits you with full force, as we pack in all the ‘must see’ agenda into our guided panoramic highlight city tour ! According to legend, Rome was founded by Romulus and Remus in 753 BC. Start your introduction to Rome with a journey to The Vatican the smallest nation in the world ! It boasts a priceless art collection and is probably per square foot the richest country in the world ! The most famous square of The Vatican is St. Peter’s Square with St. Peter’s Basilica, one of the largest churches in the world. Gaze in awe at Michelangelo’s Pieta. Continue your tour driving past the triumphal Arch of Constantine, one of the most important commemorative monuments of antiquity and then drive through Piazza Venezia, where the grandiose monument to the reunification of Italy is often referred to as the Marble wedding cake! Pass the Circus Maximus – the Hippodrome – known for its ancient chariot races, which was reconstructed by Hollywood for the well known movie ‘Ben Hur’! Pay tribute to the brave Gladiators of Rome, with a photo stop at the mighty Colosseum. At this amphitheatre, the notorious and gory gladiatorial games were held, where they fought one another and wild animals while the crowd roared! Pass the ruins of the Roman Forum and end the tour at the famous Trevi Fountain. Legend has it, that if you make a wish and toss a coin over your left shoulder into the fountain, you are sure to return to Rome! We at Cox and Kings look forward to that ! Note: Due to Rome city regulations, certain roads may be off limits for long distance coaches. This may result in the Rome sightseeing being done partly by foot / public transport. Good times need never end! As you get ready for the airport and your flight back home, relive the high points of your ‘Cox and Kings European Glimpse’ tour. Note: – Please note that this tour may run with an altered flow due to operational constraints. 1) Accommodation at the hotels mentioned or similar. 2) Services of Cox & Kings Tour Manager or Local Representative. 4) Compulsory Tips of EUR 3 per person per day. 1) Any Airfare / Visa Charges and Insurance /Medical. 2) Optional & Add-on Excursions unless mentioned otherwise. 3) Hotel surcharges (if applicable) during high / festive season to be paid extra per person. 4) Porterage at hotels, apartment, airports, seaports, tips, laundry, wines, mineral water. Switzerland, Liechtenstein, Austria, Italy and France which form a part of the Schengen States. *Please check with us, before confirm the travel date. Family with a cup of coffee. cruise to Oslo and enjoy a continental dinner. famous ship is the completely whole Oseberg ship. and the temperature is kept at a constant 23 degrees Fahrenheit. Hardanger Bridge and drive along the fjord to the picturesque village of Kinsarvik. Enjoy a local dinner tonight. embarking on an enchanting boat ride through the spectacular fjords to Gudvangen. of Borgund. Check into your hotel after dinner. This morning, enjoy the amazing views of the popular tourist town of Lillehammar. opportunity to completely soak in its splendid beauty. Check into your hotel after dinner. Next is visit to Skansen Open Air Museum. This is the world’s first open-air museum. see both domestic and wild Nordic animals like bears, wolves and lynx. Check into your hotel after dinner. fully intact 17th century ship that has ever been salvaged. dinner onboard with your choice of entertainment, bars, shops or casino. food and souvenirs. Some free time to shop. Check into your hotel and dinner. 3) Meals, coach transfers, entrance fees, excursions, sightseeing and surface transportation as mentioned in the itinerary. 4) Porterage at hotels, apartment, airports, seaports, tips, laundry, wines, mineral water, telephone charges, all items of personal nature and also food & drinks not forming part of the touring group’s menu. 5) Anything not specifically mentioned in “What Your Tour Price Includes” box. Enjoy sumptuous Indian / Continental vegetarian and non-vegetarian cuisine. Welcome to your “Cox & Kings American Sojourn – Summer 2018” tour! On arrival into Los Angeles, clear immigration and customs and proceed to your hotel on own (check-in after 1400 hours). The rest of the day is free to explore this beautiful and exciting city on your own. Today, embark on your Half-day guided sightseeing tour of Los Angeles, driving past Beverly Hills, the famous Sunset Boulevard, Mann’s Chinese Theatre, Rodeo Drive and the well known ‘HOLLYWOOD’ sign. Later, drive to Las Vegas. On arrival, proceed on an orientation tour. Enjoy the sights and sounds of Las Vegas with the towering Stratosphere Tower rising 1,149 feet into the air and the Downtown Glitter Gulch where Las Vegas began. Enjoy an Illumination tour and a wonderful show in Las Vegas – the Fremont Street Light Show. A night of entertainment in Las Vegas is a lifetime experience. The day is free to explore this exciting city on your own. Or we recommend that you treat yourself and your family to optional excursions of the Grand Canyon. This is a breathtaking journey into the heart of the Grand Canyon. Hit the highway out of Las Vegas and spend the day touring the Grand Canyon and Hoover Dam. On this day trip, you will have four hours at the Grand Canyon, with a walk on the popular Grand Canyon Skywalk – a glass bridge suspended 4,000 feet above the Colorado River and protruding 20 meters beyond the edge of the canyon. and experience the popular attraction – the Grand Canyon Skywalk. 4) ‘Grand Canyon West Rim Combo Tour (Airplane – Helicopter – Boat)’ – highly recommended. admiring the mighty walls of the canyon. Sit and eat your meal right at the Canyon edge. This morning, depart for Fresno, the business, financial, cultural and entertainment capital of the San Joaquin Valley. The evening is at leisure and you can explore this city on your own. Bridge, painted an ‘International Orange’. Later, drive to San Francisco’s most popular destination, the Fisherman’s Wharf through Ghirardelli Square known for its historic waterfront and considered the city’s most popular tourist destination with delicious seafood, spectacular sights and unique shopping. Spend a dollar or two at Pier 39, a festival marketplace with more than 110 stores and numerous fun filled attractions. You also have some free time to walk to the bay where you have the option of enjoying a cruise on San Francisco’s famous bay. Sail along San Francisco’s breathtaking waterfront onboard the Bay Cruise, under the majestic Golden Gate Bridge, and around the notorious Alcatraz Island. This morning, take a flight to Buffalo from where you will proceed to Niagara Falls. The power of Mother Nature overwhelms the senses as you marvel at one of the world’s most incredible natural spectacles. A panoramic night view of the spectacularly lit Niagara Falls awaits you. delicious transformation from bean to milk chocolate. Overnight at Hershey. Institution, the world’s largest museum complex. Overnight atWashington D.C.
spectacularly lit landmarks of New York – it’s magnificent!! Spend some free time at Times Square. Bridge, Broadway, United Nations Building. Please refer to our Duniya Dekho Booking Terms & Condition.Hotels / Flights / Airlines / Itinerary / Route subject to change without notice. Rodeo Drive and Hollywood Sign. Las Vegas: Orientation Tour, Fremont Street Light Show. Bridge, Ghirardelli Square, Fisherman’sWharf – Pier 39. Niagara: Illuminated View of Niagara Falls, Maid of the Mist Boat Ride. Note: ** Please refer below for operational dates. United Nations Building. (** Overnight stay will be in New Jersey). Welcome to your ‘Cox & Kings – European Classical Masterpiece’ tour. On arrival in London, our representative will greet you at the ‘meeting point’. After immigration and customs proceed to the hotel (check-in after 1400 hours). London is an irresistible package of modern metropolis and timeless tradition, which makes it one of the most exciting destinations in the world! Cox & Kings gives you the opportunity to explore this vibrant city in comfort, at your own pace. Our exclusive tour lets you make the choices, while we take care of the details! Later, in evening, ride the ‘London Eye’. At 135 meters it is the world’s fourth tallest Ferris wheel. It’s fully enclosed capsules offer stunning views to the edge of the capital and beyond. An unforgettable experience! Enjoy some leisure time at Oxford Street and then reunite at a pre-appointed time and place as informed by your Tour Manager. Live history through a guided panoramic tour of London. Get acquainted with some of London’s iconic landmarks like the Tower Bridge, River Thames, London Eye, Tower of London, Hyde Park, Big Ben, Westminster Palace, Westminster Abbey, St. Paul’s Cathedral, the famous Piccadilly Circus, and Nelson’s Column at Trafalgar Square followed by the majesty of Buckingham Palace which is the Queen’s official residence. Enjoy the changing of the guard (on days when this takes place). Then, you have a date with 400 celebrities at Madame Tussauds Wax Museum, the world’s largest exhibition of life-like wax models. Travel back in time with a visit to the Tower of London, a historic landmark where much royal blood was spilled! The aptly named Bloody Tower and Traitor’s Gate still fascinate. The main attraction is the Jewel house, housing the incredible Crown Jewels including the Koh-i-noor diamond! Later, drive to Harwich to board your overnight ferry to Hook of Holland. Traveling in a ferry across the North Sea is sheer indulgence! Treat yourself to a world class maritime experience, sailing in total comfort. Enjoy dinner onboard the ferry. Today, disembark and drive through Dutch countryside. If you come to Holland when tulips are in bloom (only from March 22nd to May 13th) visit the famous Keukenhof Tulip Gardens. The rest of the year, visit Madurodam, the enchanting working miniature city that features the best of Netherlands. Then, continue on to Amsterdam, where windmills still wield their magic, here’s a photo stop at one. The canals beckon as you board a glass topped boat and glide past regal mansions, houseboats and bridges. A canal cruise in Amsterdam is a rewarding experience. Later, drive to Brussels. On arrival, an orientation tour takes you to the magnificent Gothic St. Michel’s Cathedral. Walk via Galeries Saint Hubert the world’s first shopping mall, opened in 1847, to the Grand Place, Europe’s most beautiful square. This exquisite market square is the main tourist attraction of the city. Shop here for world famous Belgian lace, chocolate and Belgian Waffles dusted with caramelized sugar (time permitting). Mmmm! Also enjoy a photo-stop at the Manneken Pis- the cheeky statue of a boy, representing the “irreverent spirit” of Brussels, has drawn sightseers for centuries. Continue to your hotel and check-in. Today, proceed to Cologne, the metropolis on the Rhine where on arrival, you will visit the Cathedral – the first Gothic church in the Rhineland with its characteristic spires. Later, drive to Boppard through the Rhine valley, where there are more castles than in any other river valley in the world. Enjoy a cruise along the ‘Romantic Rhine’. The stretch of river where you can see castles, villages, and vineyards, and the Loreley, where the river valley runs through dramatically elevated hillsides. You can see a statue of the Loreley near the cliff and the scenery is actually stunning. Continue your drive towards Heidelberg. Later, after dinner check-in to your hotel in the Rhineland area. Today, enjoy a drive through the Black Forest and arrive in the area of Titisee. Here time stands still at Drubba, the alpine nest of the Cuckoo Clock situated in the unique Hollental (Hell’s Valley). Witness a demonstration to explain the making of authentic cuckoo clocks in their original form, each piece carefully crafted for precision! A visit here is always a memorable experience. En route, enjoy a visit to Schaffhausen where the Rhine River thunders over the Rhine Falls forming Europe’s largest waterfall – an excellent photo opportunity. Later, drive to Lucerne followed by orientation tour and photo stop at the Lion monument and shopping. Today, enjoy an excursion to Jungfrau, the ‘Top of Europe’, a wonderful world of glaciers and eternal ice. Reach the highest altitude railway station in Europe by a charming, cogwheel train, through the most dramatic mountain scenery! Walk on the great Aletsch Glacier, at 22 km – the longest ice stream in the Alps, visit the glistening Ice Palace, and the Sphinx Observation Terrace, at 3571 m, the loftiest point of all. The Alpine view is simply stunning. What could be more tempting in this icy cold scenario, than a hot Indian lunch! Then, descend to visit the popular holiday resort of Interlaken, cradled cozily between the beautiful Lakes of Brienz and Thun, where even today you see horse-drawn carriages. You will have an encounter with the marvels of Swiss shopping. Next to a virtually unlimited selection of watches and jewellery, every store carries a vast array of small famous brand gifts and souvenirs, priced for every pocket. Today after breakfast, visit a Chocolate factory where you have an opportunity to taste some delicious chocolates. Next, halt at the internationally renowned Swarovski Crystal Worlds in Wattens and prepare to be dazzled at the ‘Chambers of Wonder’! In a wondrous blue hall dominated by a Unicum- a wall of crystal, you see the world’s biggest crystal and it’s smallest! Over 7 million people from all corners of the globe have already been thrilled by the Swarovski experience – now you are one of them! The orientation tour introduces you to its world famous sights. View the Golden Roof or ‘Goldenes Dachl’, an ornate Gothic balcony erected by the Emperor Maximilian I in the 15th century, decorated with gold painted copper shingles. Next walk past the Imperial Church followed by the ‘Hofburg’ or Imperial Palace. This Capital of the Alps has a history of 800 years! Later, check-in to your hotel. Today, your journey takes you on a drive past quaint villages, medieval castles and fruit orchards and cutting across the fertile Adriatic Plains, to the magical lagoon city of Venice. Nothing prepares you for the captivating city of canals and palaces – Venice is simply unique! Built on 117 small islands, it is a pedestrian’s city, so get set for a walking tour. Cruise from Tronchetto Pier and glide romantically past fairytale palaces, through incredible miniature canals to the Piazza San Marco (St. Marks Square), where you disembark. Napoleon dubbed the Square the ‘finest drawing room in Europe’ for its constant carnival atmosphere! Witness the bronze Moors striking the hour, as they have been doing for the past 500 years! From there to the Doge’s Palace, connected by the ‘Bridge of Sighs’ to its prisons. It was from here that the legendary lover Casanova made his famous escape! End this exciting tour with a brief visit to a Murano Glass Showroom (when open) for a demonstration of glass blowing. It was on the island of Murano that glass was first made in Europe and hand blown Venetian glass is world famous. Then, enjoy a Gondola ride. Take the return boat to Tronchetto pier and after dinner, check-in to your hotel. Today after breakfast, proceed on your drive to Florence, a shrine to the wonders of the Renaissance, with more artistic treasures per square metre than any other city in the world! Included in your guided walking tour of Florence, is the remarkable Duomo, which is the fourth largest cathedral in the world. It is the ‘Gate to Paradise’ – the heavenly gilded bronze doors of the Baptistery, originally a pagan temple and an open-air gallery in Signoria Square. Also walk on the famous Ponte Vecchio, the oldest surviving bridge in the city. After all this exercise, add to the feel good factor. It’s time to indulge your-self with some more works of art – genuine Florentine leather bags and souvenirs! Happy shopping! Continue to Rome. Start your introduction to Rome at the famous Trevi Fountain. Legend has it, that if you make a wish and toss a coin over your left shoulder into the fountain, you are sure to return to Rome! We at Cox & Kings look forward to that! Next, a journey on the Time Elevator to enjoy a four dimensional view of Roman glory. After dinner, check-in to your hotel. ”Rome was not built in a day’- the truth of this oft quoted adage hits you with full force, as we pack in all the ‘must see’ agenda into our guided panoramic city tour! According to legend, the city of Rome was founded by the twins Romulus and Remus in 753 BC. Start your introduction to Rome with a journey to The Vatican the smallest nation in the world! It boasts a priceless art collection and is probably per square foot the richest country in the world! Visit the Vatican Museum, one of the largest museum complexes in the world. A must see is the Sistine Chape- a pure source of inspiration for art lovers and tourists alike, specially included on your tour which will leave you awestruck. Continue your tour driving past the triumphal Arch of Constantine, one of the most important commemorative monuments of antiquity and then drive through Piazza Venezia, where the grandiose monument to the reunification of Italy is often referred to as the Marble wedding cake! Pass the Circus Maximus – known for its ancient chariot races, which was reconstructed by Hollywood for the well known movie ‘Ben Hur’! Tribute is paid to the brave Gladiators, with a photo stop at the mighty Colosseum. At this amphitheatre, the notorious and gory gladiatorial games were held, where they fought one another and wild animals while the crowd roared! Pass the ruins of the Roman Forum. After an exciting tour, continue your drive to Tuscany. On days when the Vatican Museum is not open for visitors, the Roman Forum or the Colosseum will be visited. Due to Rome city regulations, certain roads may be off limits for long distance coaches. This may result in the Rome sightseeing being done partly by foot / public transport. Today, discover Pisa – the hometown of Galileo and a city, which makes the most of its claim to fame from its Leaning Tower! It has leaned almost since construction first started, due to the swampy soil beneath it. At a photo stop here, note its striking beauty along with its characteristic tilt. The Duomo’s (Cathedral), Bell Tower together with the Baptistery are all a part of the Field of Miracles. Then, drive to Switzerland and check-in your hotel. The View Point (stairs) located directly behind the Restaurant Botta 3000 has a 360-degree view that includes some of the most beautiful alpine peaks – from the Eiger, Monch and Jungfrau to the Matterhorn – take the 107 meters Peak Walk along a suspension bridge. Later, proceed to the Ice Express to ride the snow bus over the glacier. Enjoy a hot buffet lunch at the top and return to Col du Pillion. Later, drive to Geneva, one of Switzerland’s most privileged cities, said to have the second highest quality of living in the world! We begin the orientation tour with a drive to the Palais des Nations – the European Headquarters of the United Nations, and one of the most active conference centres in the world and the Musee Ariana. Today, experience and board one of the world’s fastest high – speed train ‘the TGV’ to continue on a spectacular journey to Paris, the ‘City of Lights’. 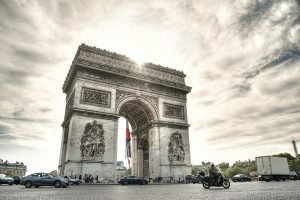 On arrival in Paris, enjoy a guided panoramic city tour seeing famous monuments like the Louvre, Garnier’s Opera, the largest opera theatre in the world, the Place de la Concorde – the site of the infamous guillotine, the Champs Elysees – one of the most fashionable streets in the world, the Napoleanic Arc de Triomphe and the Hotel des Invalides. Take in the dazzling overview of the glittering city as you ascend by an elevator to the 3rd level of the Eiffel Tower! Today after breakfast, proceed to visit Euro Disney! Unleash the child in you for a fun filled excursion! Thrilling rides, favorite Disney characters and incredible shows make it a complete family attraction. Note: Your park ticket gives you the option of entering either Euro Disney Park or Walt Disney Studios. The Euro Disney Park is divided into Frontier land, Adventure land, Fantasyland, Discovery land which are the four magical themed lands and the ever famous Main Street USA. Thrilling rides, incredible shows, parades, fantasy and excitement guarantees non-stop fun and action. Big thrills such as Space Mountain Mission 2, Indiana Jones, Big Thunder Mountain, takes you to the edge of the universe and little ones, where you can sail around the world with “It’s a small small world”. Family fun is around every corner, from Pirates of the Caribbean to the Mad Hatter’s Tea Cups. Favourite Disney characters are waiting to meet you. You can ‘Hello’ Pooh, ‘Howdy’ Goofy and meet Mickey and Minnie. Do not forget to take a snapshot with one of your favourite Disney characters! Say “Cheese” and get a photograph accompanied by a hug and an autograph. The rest of the evening is at leisure to opt night with an Illumination tour followed by the world famous Lido Show. Good times need never end! As you get ready to depart to the airport for your flight back home, relive the high points of your ‘Cox & Kings – European Classical Masterpiece’ tour. Note: – This tour may run with an altered flow due to operational constraints. Breakfast at the hotel or on board the flight. charges, all items of personal nature and also food & drinks not forming part of the touring group’s menu. Liechtenstein, Austria, Italy and France which form a part of the Schengen States. Day 1: Begin Your Tour • Arrive Into Washington D. C.
1400 hours). The rest of the day is at leisure. Overnight at Washington D.C.
spacecraft in the world. Later drive to Corning. Overnight at Corning. After breakfast, depart for Niagara falls one of the most visited natural wonders of the world. Day 4: Onto New York • Illumination Tour Of Times Square. magnificent!! 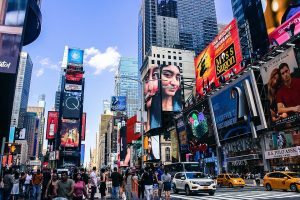 Spend some free time at Times Square. Overnight at New Jersey. orientation tour of the ‘city that never sleeps’, driving past some of New York’s iconic landmarks. 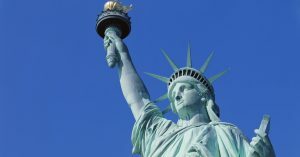 VISA REQUIREMENT: You must be in possession of a valid USA visa. Niagara: Maid of the Mist. Note: ** Please refer itinerary for operational dates. United Nations Building. (** Overnight stay will be in New Jersey). Welcome to your ‘Cox & Kings Panoramic Europe’ tour. On arrival in Paris clear immigration and customs and proceed to the hotel on your own to check in. (check in after 1400 hrs). Enjoy a guided panoramic highlight city tour of famous monuments like the Pyramid of the Louvre, Garnier’s Opera, the largest opera theatre in the world, the River Seine, the Place de la Concorde – the site of the infamous guillotine, the Champs Élysées – one of the most fashionable streets in the world, the Napoleanic Arc de Triomphe and the Hotel des Invalides. End the day taking in the dazzling overview of the glittering city as you ascend by an elevator to the 2nd level of the Eiffel Tower!. An enchanted evening unfolds with a cruise on the River Seine. True bliss! Today after breakfast proceed to Euro Disney! Unleash the child in you for a fun filled excursion! Thrilling rides, favorite Disney characters and incredible shows make it a complete family attraction. The Euro Disney Park is divided into Frontier land, Adventure land, Fantasyland, Discovery land which are the four magical themed lands and the ever famous Main Street USA. Thrilling rides, incredible shows, parades, fantasy and excitement guarantees non-stop fun and action. Fairytales come to life. Thrills in all sizes and shapes. Big thrills such as Space Mountain Mission 2, Indiana Jones, Big Thunder Mountain, takes you to the edge of the universe and little ones, where you can sail around the world with “It’s a Small small world”. Family fun is around every corner, from Pirates of the Caribbean to the Mad Hatter’s Tea Cups. Later this evening after dinner, don’t miss our Optional “Evening in Paris” and experience the joie de vivre of ‘Gaie Paris’. Today, after an early breakfast, drive to Geneva, one of Switzerland’s most privileged cities, said to have the second highest quality of living in the world! We begin the visit with a drive to the Palais des Nations (the European Headquarters of the United Nations) and the Musée Ariana. Be awestruck by the great white plume of the world’s tallest fountain in Europe – the magnificent Jet d’Eau and pause for a photograph here and at the beautiful floral clock in the Jardin Anglais! wonderful world of glaciers and eternal ice. Onto Jungfrau. Reach the highest altitude railway station in Europe by a charming, red cogwheel train, amid dramatic mountain scenery! What could be more tempting in this icy cold scenario, than a hot Indian lunch! Walk on the great Aletsch Glacier, at 22kms – the longest ice stream in the Alps, visit the glistening Ice Palace, the Alpine experience and the Sphinx Observation Terrace, at 3571 m, the loftiest point of all, will take your breath away. Later visit the popular holiday resort of Interlaken, cradled cozily between the beautiful Lakes of Brienz and Thun, where even today you see horse-drawn carriages. You will have your first encounter with the marvels of Swiss shopping. Most visitors take home two things – memories of a beautiful country and a Swiss watch. Next to a virtually unlimited selection of watches and jewellery, every store carries gifts and souvenirs, priced for every pocket. Note: Guests not availing the optional tour to Jungfrau will get a packed dinner. Glacier 3000 Awaits! An everlasting snow mountain, offering panoramic views of the most beautiful summits of the Alps. Ascent is by cable car to Scex Rouge (2971m). A special adrenaline kick with a wild ride on the Alpine Coaster (weather permitting), the world’s highest bobsleigh track. You can cruise along at approx. 40 km/hour and with the brakes you determine how fast you want to go. The ultimate highlight is the 520-degree loop, followed by 10 curves, 6 waves, 3 jumps and 2 bridges. 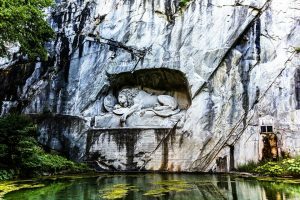 Later onto Lucerne with its picturesque mountains, lakes, cowbells, alpine villages and meadows, the poignant Lion Monument, the covered, wooden Kapellbrücke (chapel bridge), and the ornate Jesuit Church. You will have another encounter with the marvels of Swiss shopping. An exciting drive to see the thundering Rhinefalls at Schaffhausen. Next through the Black Forest to arrive at Titisee – the alpine nest of the Cuckoo Clock situated in the unique Hollental (Hell’s Valley). Witness a demonstration to explain the making of authentic cuckoo clocks in their original form, each piece carefully crafted for precision! The Cuckoo Clock is said to have originated between 1740 and 1750 and has remained more or less unchanged in its unique design. A visit here is a memorable experience. Later proceed, to scenic drive to city of Zurich, where on arrival you will proceed on an orientation tour strolling down Bahnhofstrasse – the city’s fanciest shopping street, past famous sights like Peterskirche (St. Peter’s Church) situated in a medieval square, famous for its 16th Century clock, the largest clock face in Europe. The elegant copper spire of the Fraumunster found in the 9th Century with impressive stained glass windows. Across the Limmat River, you will get a view of the beautiful Romanesque and Gothic Cathedral dedicated to Zurich’s patron saints. Good times need never end! As you get ready for the airport and your flight back home, relive the high points of your ‘Cox & Kings Panoramic Europe’ tour. 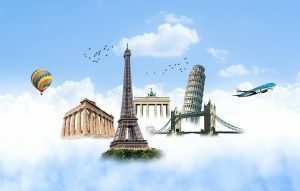 Panoramic Europe (Super Saver) – Cox &Kings Package Special for Indian Nationalities. *Please check with us before finalising the dates. Arrive Kiev Airport and private transfer to Hotel. Day free for leisure. Overnight stay at Hotel. During the excursion, you will see the main shrine of the Orthodox Church in Ukraine – the Kiev-Pecherska Lavra. View the unusual Paton Bridge, learn about the left bank and see the monumental 110 yard-high Motherland Statue, which has become the hallmark of the capital city. Visit UNESCO World Heritage Sites like the Kyiv-Pechers'ka Lavra monastery and Saint Sophia's Cathedral with its great bell tower, the beautiful Saint Michael's Cathedral. Enjoy a great panoramic view of the Taras Shevchenko Boulevard, one of the oldest indoor markets in the capital, the Besarabka. You will also see the deepest underground station in the world, Arsenal'na, Glory Park and much more. Sure to stand out is the main red building of the National University. Furthermore, you will enjoy a great panoramic view of the most beautiful avenue in the city, Taras Shevchenko Boulevard, and one of the oldest indoor markets in the capital, the Besarabs'kyy Market. 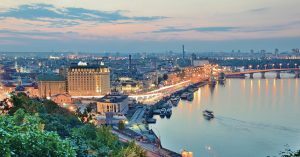 You will also see Kyiv's main street, Khreshchatyk, and the Opera House, as well as the Golden Gates and the ancient Volodymyrs'ka Street, decorated with architecture from the end of the 19th and beginning of the 20th centuries. Have a wonderful experience and feel like a footballer by visiting the Olimpiysky stadium. This is a great opportunity to look behind the scenes of the largest stadium in Ukraine – NSC Olympiyskiy. Your guide and driver will meet you at the hotel and transfer to the stadium. The tour will take you behind the scenes into areas usually reserved only to the players, you will feel the spirit of the game in the changing rooms and experience a real footballer's emotions by going up the players tunnel to the pitch entrance. A unique program which will give you the opportunity to see the most secluded sports of the arena, evaluate luxury of executive class sky boxes and walk along lounge and VIP zones admiring all-around views of the main sports arena of Ukraine Elite class. Day at leisure. Free for exploring Kiev on own. Breakfast at Hotel, Check out and transfer to Kiev airport to fly back to Muscat. Return Airport Transfer on Private Basis. All personnel expenses like telephone, Compulsory Tips, laundry, portage etc. Package prices are subject to change and availability. *Peak Season surcharge applicable during Black out dates, Christmas & New Year period.